A DUI/Driver’s License checkpoint in the Mission Bay area of San Diego resulted in 11 arrests, police said Saturday morning. 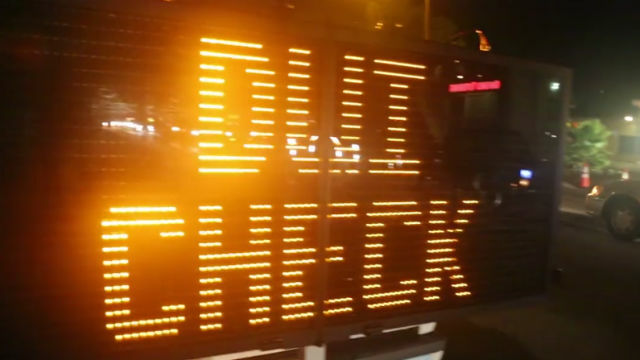 More than 660 vehicles went through the checkpoint at 2600 Ingraham St., between 11:20 p.m. Friday and 3 a.m. Saturday and nearly 600 of those vehicles were screened, according to Officer Mark McCullough of the San Diego Police Department. Of the vehicles screened, 18 drivers were evaluated and 11 were arrested on suspicion of DUI in or near the checkpoint, including one driver who was taken into custody after he failed to stop for the checkpoint and crashed his vehicle, McCullough said. Police also cited seven drivers for unspecified violations and impounded nine vehicles. Another checkpoint is scheduled for Saturday, but the time and location were not immediately disclosed.